We often have a focus on split ends when it comes to taking care of our hair. We always see this as the area that needs the most attention. Of course, we’re often forgetting that the ends of our hair are in fact already dead- taking care of split ends merely ensures that we’re not further damaging the hair follicle so that our hair continues to grow healthy. With daily use of products and heated styling tools, our hair is feeling the strain. So it’s important to take of our hair from root to tip! I try and read a lot of magazines to ensure I stay current and there is one prominent trend in hair care I’ve noticed- we are seemingly neglecting our scalp! As highlighted above, we focus a lot on the ends of our hair because it’s pretty noticeable when it isn’t in tip top shape; split ends make our hair look straggly, frizzy, dry and lacklustre. But we should be considering our scalps just as much because, put simply, this is where the hair grows from. Of course, there has been products around for years to aid in tackling scalp related problems such as dryness and flaking (we’ve all seen the Head and Shoulders adverts) but we should be looking into this in a little more detail. Philip Kingsley Exfoliating Scalp Mask: you may not think it but our scalps should be treated like our skin. Just like our skin, our scalps suffer from spots, dry skin and dead skin cells- gross right! A scalp exfoliator will effectively remove build up of dead skin cells and products (that our shampoos just can’t) and nourish the scalp leaving it much healthier. Kiehl’s Magic Elixir: A luxurious, silky oil, specifically formulated to to promote a well conditioned scalp for more manageable, healthy hair. Jam packed with super oils (such as Avocado- we’re constantly told how good it is for us and Rosemary Leaf oils), Vitamins and Omega-6 Fatty acids to help moisturise, revitalise and nourish hair and scalp. It has a wonderful spa smell that’s refreshing and comforting; a perfect treatment to do at the end of a very stressful day, you’ll instantly feel uplifted and relaxed, I certainly did (what a major benefit!). I recommend splitting your hair into sections to make sure you cover all aspects of your scalp and applying to fingertips before massaging directly onto the scalp in circular motions; pull the excess oil through the hair (if you can get someone else to do it for you, all the more better- though I found this just as enjoyable and relaxing doing it on myself). Wrap your hair in a warm towel for 10 minutes to allow maximum penetrative benefits and rinse thoroughly/shampoo and condition and style as normal. You’ll notice instant results- scalp feels instantly more hydrated and the hair follicles feels softer. The relaxation properties make it a winner for me. Did you know? A daily scalp massage can encourage your hair to grow, as well as relieving tension. Of course, this can also encourage your hair to become greasy- if you don’t wash your hair daily, massage your scalp for a few minutes before shampooing. TIP: If your hair is particularly greasy or oily- do two washes with shampoo to fully clean the roots, it’ll give you a great basis to start again (also ideal if you have a style go wrong). Keratin is the protein that constitutes the main structure of our hair, it’s what gives our hair super strength so it’s super important we take care of it. In fact our hair loses moisture and thickness as we get older, we lose density from 20 years+ and pigmentation (colour), manageability and shine from 40+ (Marie Claire, 2015) so protecting our hairs protein, will prolong the aging process of our hair. Wella SP have introduced LUXE OIL products that are formulated to offer salon quality products to use at home. Their Keratin Conditioning cream is an ideal everyday use conditioner; it contains keratin, argan oil, almond oil, and jojoba oil to nourish, moisturise and protect your hair- leaving it super soft. If you use a lot of texturizing products and heated styling tools, then switch to a product like WELLA SP LUXEOIL to ensure that at the base of your routine, you’re taking care of your hair, it won’t hinder the texturizing ability of the products you use or weigh your hair down. Are you a frequent bleach/colour user? Find that your hair is dry and damaged? Do you feel like it’s beyond repair? It isn’t. Kératase Résistance Thérapiste has been formulated just for you. We’ve already stressed the importance of keratin but in a hair care article, it’s bound to come up a bit. 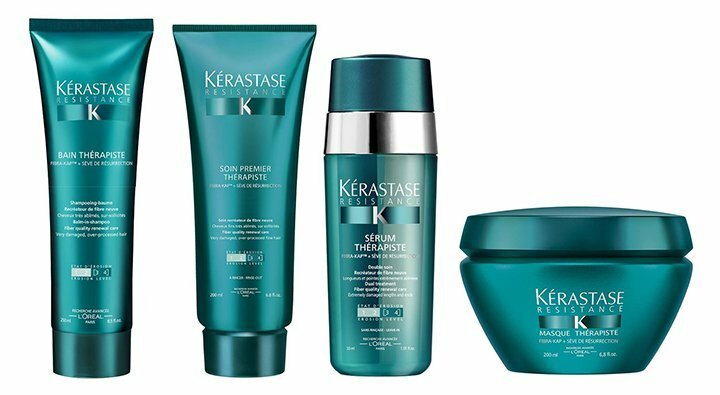 The new Thérapiste range takes it one step further; they’ve also considered the KAPs (keratin associated proteins) which represent 50% of the hair fibre and is responsible for linking and bonding the proteins together, keeping the hair fibre intact- the hair becomes damaged when the KAPs disappear and cause the fibre to collapse. This range has an exclusive compound designed to compensate the lack of KAPs that have been damaged by colouring and styling. Kératase have determined different routines for differing degrees of damage. We’re focusing on severely damaged/over-processed hair (the Résistance Thérapiste Collection) but they also have a product range suitable for those of you that have weakened/damaged hair; the Résistance Architecte and Volumifique ranges. Step 1: Soin Premier Thérapiste is a pre-shampoo treatment; a fibre quality renewal conditioner, specifically formulated for fine hair which acts like a gauze, infusing the hair fibre with softness so that it feels protected during washing and improves the feel of fibre quality to gain a renewed appearance. Apply to wet hair for 1-2 minutes before rinsing. Step 2: Bain Thérapiste; a gel textured shampoo that has been specifically formulated to smooth out the hair strands, enveloping the hair during cleansing to help reduce friction and protect the hair from further damage (did you know that shampooing actually strips the hair of it’s oils- normal shampoo would therefore further destroy damaged hair). Massage in, rinse out (no wait time required). Step 3: LEAVE IN- Sérum Thérapiste is a dual treatment; an oil based agent to nourish the hair fibre and a denser cream to help treat and seal hair cuticles and ends. This serum helps reduce the appearance of split ends. Squeeze onto hands, run through your hair from root to tip and style as normal. After use, it’ll feel so soft (like incredibly silky), you’ll be too scared to use any kind of heat on it (I know I did!) but you needn’t fear- the Serum Thérapiste will protect your hair up to 230ºc! Though I did find that a proper blow dry was sufficient enough that no further styling was required- how efficient. My hair felt pretty incredible for days after too; I also found it pretty incredible that even after referring to a supermarket shampoo and conditioner for my following wash, the effects of this treatment were still evident and after blowdrying my hair was as silky as it was from the night of using the range (believe me, no supermarket shampoo and conditioner has EVER made my hair silky!). I would recommend the Thérapiste range as a weekly/bi-weekly treatment, though this would be absolutely dependant on the extent of damage your hair is in. Initially you may need/want to use this range every other day until your hair quality improves. 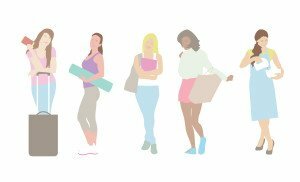 There are a number of factors that influence the state of our hair; consider styling, products, activities (e.g. exposure to chlorine pools) and stresses that can change our hair’s behaviour from one day to the next. Before washing, consider what it is your hair needs and follow a routine appropriate to that! I find it beneficial to use damage prevention products whether I am using a hairdryer, straightener, styling or not- I have a natural kink to my hair and if I do nothing to it, it’ll become so matted, I can’t do a thing with it; I’d end up pulling a brush through my hair and could hear it tearing- it’s a sound I hate as I know something awful is happening to my hair. I use, daily (aside when using the Thérapiste range as there is no need), Aveda Damage Remedy which is a leave in product with conditioning qualities- it aids in detangling my hair and also protects it from heat styling- it’s everything you could ask for. Place a blob in your fingers, rub your hands together and smooth from mid-lengths to ends- style as normal. If my hair is feeling particularly dry after styling, I’ll also use Aveda Dry Remedy which is an oil based product which instantly moisturises dry, brittle hair; use 2-3 drops, rub together in your fingertips and run through the mid-length to the ends of your hair for an instantly smooth and shiny look. It’s much about preventative measures as well as reactive! The sun can dry our hair out, discolour it and when we combine that with chlorine and wind it’s no wonder we can’t get a brush through it and have to work on serious damage control. We tried out Korres Hair Sun protection a little while ago and was mighty impressed! Applied before drying/styling I could not tell I was wearing a protector- in fact it made my hair shine that little more and smelt divine. This product has water resistant UV filters and well as hydrating properties to really look after your hair this summer (and all year round!). Featured image provided by Richard Foster on Flickr.